Your boutique law firm for Tuscany and beyond, established in 2007, bespoke international legal advice delivering practical local solutions. Stelfox Antuofermo & Associates is a practice of experienced English speaking legal advisors headed by partners Fiona Stelfox and Giuseppe Antuofermo. Avvocato Stelfox first qualified as a solicitor in Great Britain and Ireland before going on to practice in Italy whilst Avvocato Antuofermo is an Italian trained and registered lawyer. We believe in problem solving and in clear pragmatic legal assistance, based on the needs of each client and grounded in good commercial practice. • Clarity is important to us so we provide practical, insightful and innovative solutions regardless of the complexity of the situation or the system. • We believe that clients should understand the legal process, so documents are translated in-house by our team. • Currently we have a worldwide client base of individuals and companies, trusts and funds - and years of experience representing clients of all nationalities. • Our unique blend of the Italian and english speaking worlds gives us insight and understanding that help us deliver local solutions for international clients. • We are an independent practice however where necessary we work with a selected network of reliable English speaking professionals throughout Italy. They are selected for their suitability and track record with us and specialise in areas such as tax and real estate and include notaries, accountants and technical experts. We have considerable experience in both commercial and residential real estate transactions. Our aim is to maximise value, minimise risk and ensure that clients navigate the real estate process efficiently and cost-effectively. Whether purchasing, selling or renting, our innovative approach helps each client negotiate the most favourable deal and see it through to a successful completion. We understand that many clients are out of the country throughout their property transactions. They need the assistance of a first class legal team on the ground in Italy, protecting their interests and helping them manage the process. We can assist with transactions involving public bodies and in the auction process, for clients interested in those specialist sectors. WHY BUY ITALIAN PROPERTY AT AUCTION? It is commonly understood that the financial crisis, ongoing in Italy for a number of years, has lowered property prices. Less well known is that an increasing number of all types of properties, including commercial units, are being repossessed and sold at auction. This presents the investor with an unmissable opportunity and we can assist you in successfully navigating that process. • Properties can generally be bought for significantly less than the market value. The reserve price already reflects the currently depressed Italian market. If the first auction does not result in a sale then the price is reduced further at subsequent auctions. Reductions can be between 10% - 50% of the reserve price. • The court guarantees that the property is transferred free of all mortgages and legal charges. • It is generally possible to resolve, within the auction process, planning problems which might otherwise be an impediment. • Since the court places the property for sale, there is no real estate agent - and a consequent saving of approximately 3% of the purchase price. • Legal title to the property is transferred directly by the court. There are no notary fees to pay - resulting in a saving of several thousand euros. • There are banks and financial institutions willing to finance purchases at auction if they have an agreement with the relevant court jurisdiction. Businesses can plan on a European level but need to deliver locally. Our insightful and innovative approach helps them to do just that. • Managing the public private interface including seed funds and government investment schemes. 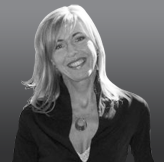 Fiona Stelfox practiced as a solicitor in the UK for a number of years before moving to Italy with her family in 2002. Having seen at first hand the need for clear and independent legal advice for foreigners in Tuscany, in 2007 she founded Stelfox Antuofermo and Associates along with an Italian colleague. She has considerable experience of property, contract and commercial law in various jurisdictions. During her time in the UK she also served as a Planning Commissioner charged with ruling on urban planning issues, giving her unique insight into the public sector. Fiona was for many years active in the non-profit sector in the UK and is a Fellow of Johns Hopkins University, Institute for Policy Studies, Baltimore. 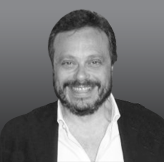 Avvocato Giuseppe Antuofermo has more than 20 years practice experience in civil and contract law in Italy and in the interaction between criminal law and the civil sector as it affects business. He acted for Chanel S.A in the application of copyright laws and has been responsible for international distribution and agency agreements for a number of other large clients. In 2001 he won a high profile legal case against national utility ENEL (electricity provider) on behalf of a group of private clients, resulting in a policy change and the award of damages. He benefits from an extensve network of business, legal and professional contacts both in Italy and beyond. He is currently President of the Foundation Centro Studi Giuridici Francesco Carrara which brings together senior judges and legal experts in the study and development of criminal and international law. 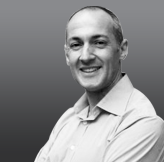 Alex is an experienced corporate and commercial lawyer, with particular experience with start up businesses. Alex’s first few years in practice were with top London and International firm Ashurst, where he spent six years in London and Brussels. Since then he has worked for a number of major international media organisations (MGM Studios, BBC, AOL) in pan-European roles before developing his own business advising a range of smaller businesses, including as a non-executive director. These include an advertising technology platform operator; a provider of augmented and virtual reality solutions; a ground-breaking digital licensing platform; a niche international fashion brand; and a live branded experiences business. We received a recommendation for Stelfox Antuofermo & Associates and it was on this basis – literally “a leap of faith” - that we went with them We are both professional people, with a vast exposure to intercultural, governmental and bureaucratic red tape. However, nothing prepared us for the complexity of purchasing our dream property in Tuscany. We found the house of our dreams and made the offer. But in reality what comes next? We had no idea. Of course, we had read a few books and seen the movie, but how to turn our dream into a reality was the issue. Fiona and Beppe kept us informed of the progress and any potential problems, at every stage of the purchase. This was particularly relevant when we were not located in Italy during the initial stages. Fiona possesses excellent communication skills, both written and verbal and she showed an uncanny ability to foresee a potential problem and essentially “nip it in the bud”, saving us money and preventing unexpected hurdles from delaying the house’s purchase. Our purchase involved multiple Italian relatives and a house that had been abandoned for many years and their co-ordination skills in keeping the purchase on track and legal, was a feat in itself. There is no way we could have achieved our dream house without Fiona and Beppe, and this is not a random statement, this is a fact. Without their expertise and professionalism, we would have given up on our dream. When our second legal concern came up - in our case against a public authority, there were no second thoughts as to who we would approach for legal guidance. We witnessed their dedication and perseverance, in handling our litigation case. And saw the doggedness that both lawyers displayed on our behalf in the Italian court system. Their enthusiasm, and determination to solve our matter was remarkable. 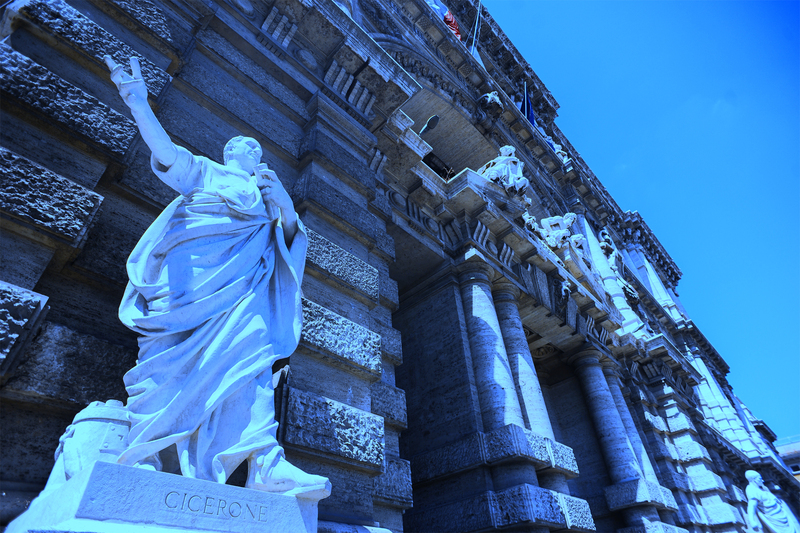 Add to the equation, their calm manner, superb problem-solving skills, exceptional linguistic skills in both English and Italian and most importantly, their thorough knowledge and understanding of the Italian legal system and it’s easy to see why we chose them. Our success in purchasing our house and also in winning our legal case, has been due to Stelfox Antuofermo & Associates efforts on our behalf and we can’t thank them enough. "We have been using the services of Stelfox, Antuofermo & Associates since 2008 and have always been impressed with the professional and dedicated approach they bring to all their work. The team has the ability to quickly analyse the most difficult problems and provide inventive and viable solutions. They then work with the client to devise a strategy that ensures that matters are brought to a successful conclusion. “We first met Fiona and Giuseppe in the summer of 2009, when our property was about to be repossessed. The combination of their experience, professional and tenacious approach resulted in us securing our property. During the 3 years journey they always keep us informed, always made us feel like their priority and went over and above to ensure the best result for us. Their knowledge of property law and ability to clearly explain how things worked in Italy meant that we always knew that we had the best possible chance of success. Their approach is first class, their results speak for themselves and our experience was 5 star. I can’t thank them enough for their professionalism and support and will be using them again, but this time from the start of the purchase." With airports at both Pisa and Florence our international client base can easily reach us whilst at the same time enjoying the wonderful atmosphere of Tuscany.